Warren and I wrote “What’s Wrong with Neil?” on weekends and evenings in 1988, as I recall (you reading this, Warren? feel free to elaborate), mainly here in my home office. We took it through the stages laid out in the Writers Guild of Canada Independent Production Agreement, from step outline to first draft to final draft. I typed the material on my electric typewriter, and we received actual payments for each step. Where was I. When we delivered the first draft of the script, probably about June 1988, the series story editor, Jana Veverka, was favorably impressed, and conceded that we had indeed found plenty of story in our idea to fill the half-hour (a commercial TV “half-hour” is actually something just under 24 minutes of storytelling). As a professional scriptwriter herself, she offered good, focused comments on how to improve aspects of the script, and kept her hands off the stuff that worked–which was most of it. We would eventually learn how different that type of story meeting was from one with network executives who had never written anything and who had to guess at what they liked and didn’t like about a script. In all, the writing process was pleasant. People found the script engaging and funny–the people we were dealing with, that is. For the decision on whether to go ahead and shoot the script would be made by CBC honchos back in Toronto. That’s the big decision, the expensive decision. Warren and I split about $3,000 to write the script, and that was essentially most of the cost associated with the episode up to that point. To produce the thing (and for this Michael had to submit a budget to the network) would cost (I’m guessing, thinking back to 1988 prices) something on the order of $200,000. Not all of this money would come from the CBC, for in Canada, with its small population, even a national network doesn’t earn enough to be able to finance full-blown drama productions on its own. Funding had to be tapped from Telefilm, another federal cultural agency, and then also from other sources–hard to find, since TV shows in Canada had an even tougher time then making money than they do now. However, with a broadcast commitment from the CBC, that other funding could definitely be found. Would they go for it? How did we compare with the other scripts and productions being dreamed up across the country for this Family Pictures anthology? Warren and I had seen some of the other concepts being developed, and thought ours compared very favorably. For one thing, it was one of the few comedies in the mix, and of those, it had probably the catchiest premise–the intercepted love-note. Jana Veverka liked it–but the decision was not hers. It would have been in the summer, July or August, that I got the call from Michael: the network had green-lighted us for production. Yahoo! Another big increase in “realness” for the writers: our script was actually going to be produced! All kinds of expert help would be hired, film would be purchased, expensive equipment rented–people would be poring over our little script, figuring out how to get it on film! Plus, on day 1 of “principal photography”, Warren and I would get another lump-sum payment–the balance of our writing fee, which was contingent on the show actually being produced. Michael quickly got things rolling, hiring people, getting the rest of the financing together. Meanwhile he, the producer, like producers elsewhere, was having to provide his own “bridge financing”–fronting his own money to meet expenses, trusting that the big corporations who have made the promises will eventually cut him checks, as stipulated, when all the gears have turned in their internal bureaucracies. Production was slated for early November. I did my utmost to arrange some days off, for by day I was still a clerk at another Crown Corporation–a writerly Clark Kent whose everyday identity earned his crust by helping keep B.C.’s vehicle fleet licensed and insured. Now I really had something to look forward to: watching people film the material I’d written. 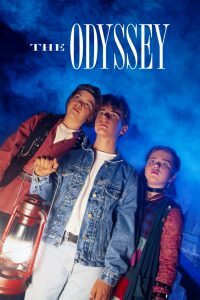 This entry was posted in the odyssey and tagged canadian broadcasting corporation, dominion building, flash dispatch, jana veverka, michael chechik, scriptwriting, the odyssey odyssey, warren easton, what's wrong with neil?, writers guild of canada, writing for tv. Bookmark the permalink. Hi Troy. Yes, my plan is to finish the story. It’s an interesting one. Thanks for caring!